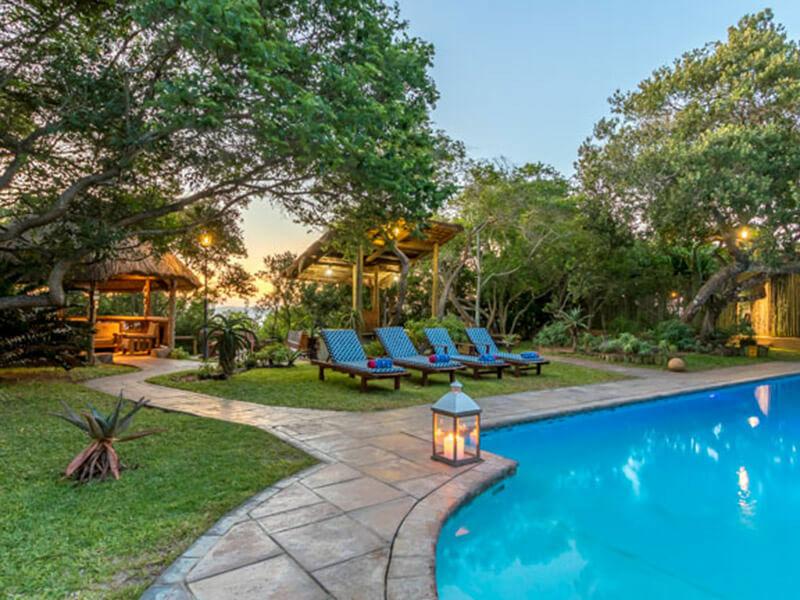 Nestled on a hilltop and set within serene, indigenous gardens affording breath-taking panoramic views of the Bay of Maputo. 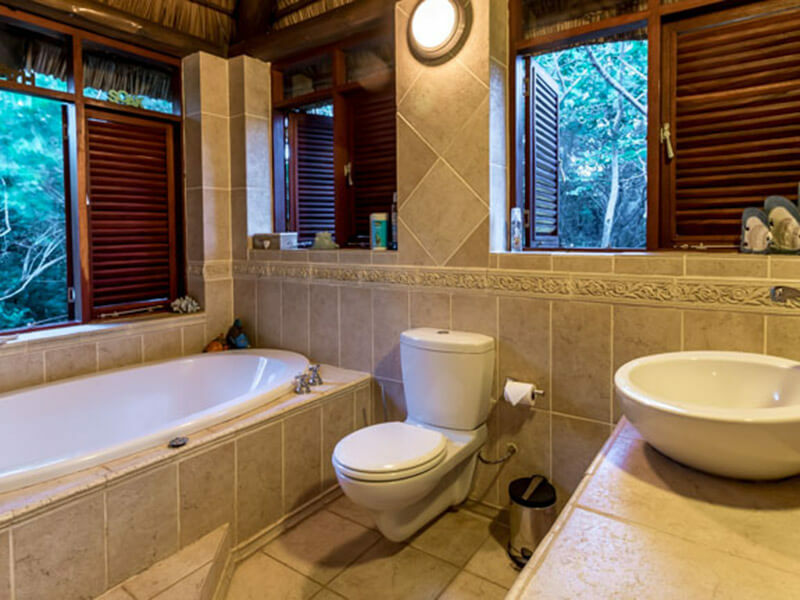 Located within exclusive grounds overlooking the Indian Ocean this is the perfect place to relax and unwind in complete privacy! When you meet the chef at Nahyeeni Lodge on Inhaca Island near Maputo, you meet a true local Mozambican who can turn your taste buds on. 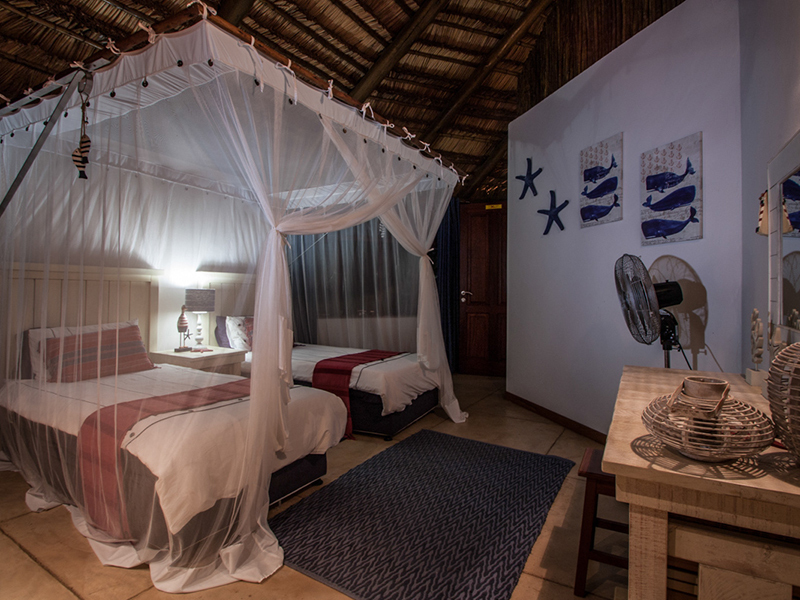 His succulent calamari and other seafood dishes will make your Mozambique holiday in this conservation paradise. 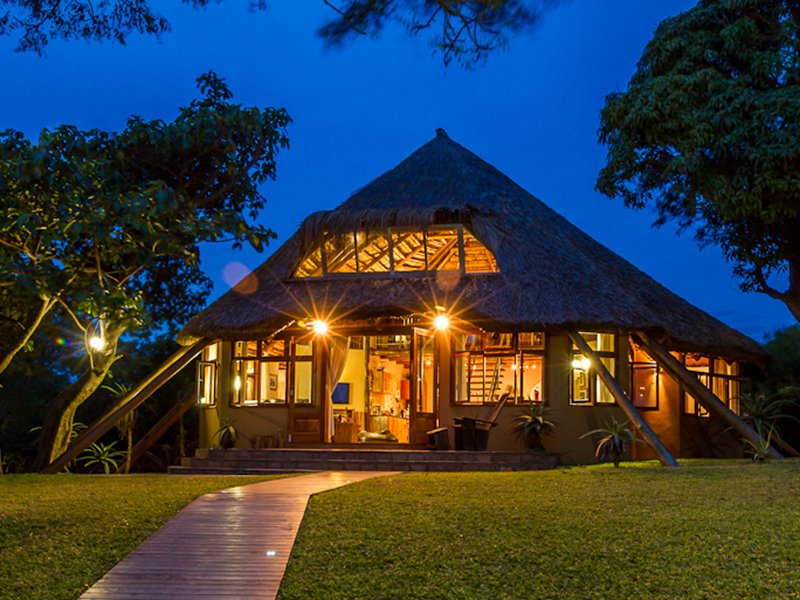 At Nahyeeni Lodge you are looked after and have plenty of time to relax mind and body. 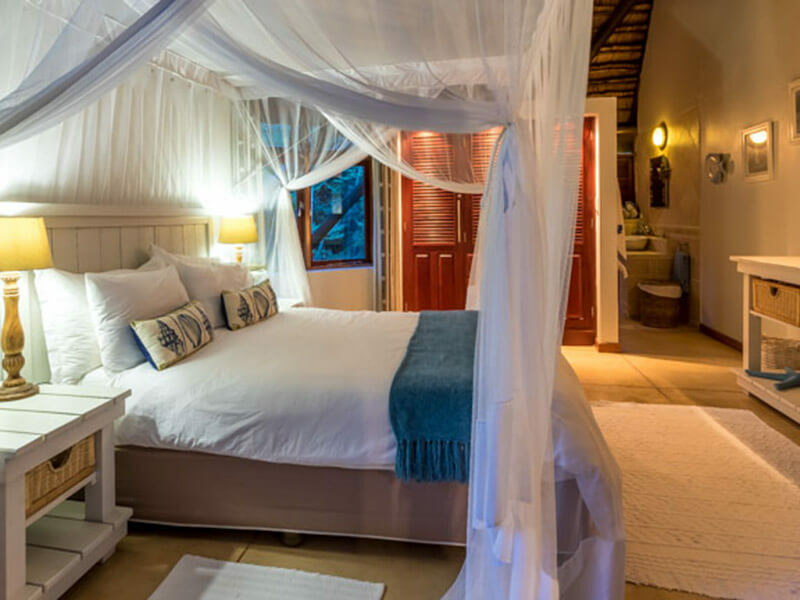 Peeping out from its hilltop setting, this luxury accommodation is the ultimate Mozambique island getaway where indigenous gardens, long white beaches and turquoise seas enhance your holiday. 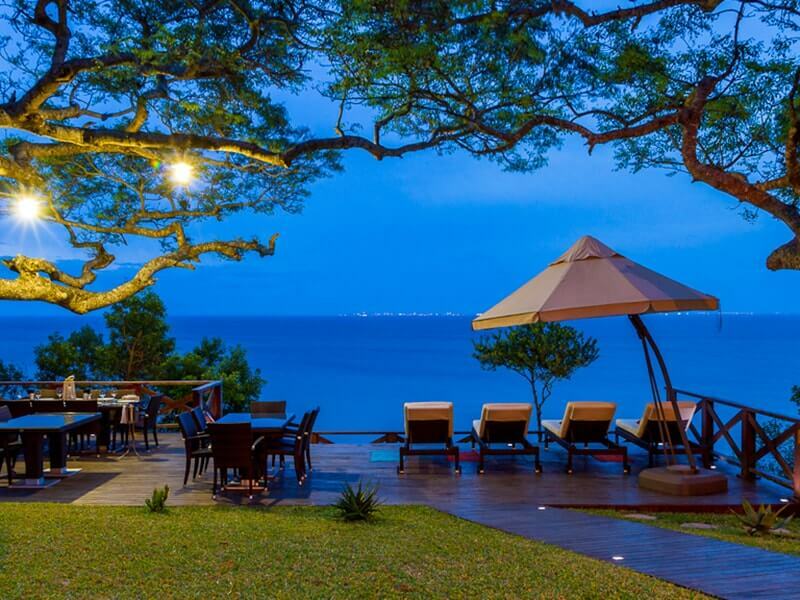 Enjoy panoramic views of Portuguese Island and the Bay of Maputo while you sip cocktails around the swimming pool while staff light the braai. Snorkelling in the bay reveals a myriad of marine wildlife protected in the Marine Reserve that stretches from Ponta d’Ouro in the south of Mozambique to both Inhaca and Portuguese Islands. 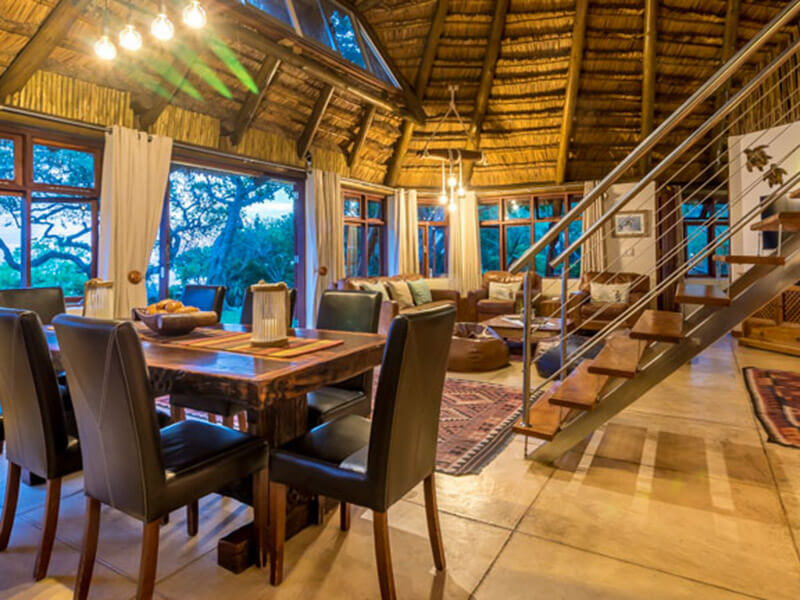 At Nahyeeni Lodge, guests can choose self-catering or full board accommodation packages which can be customised to suit your needs. The island resort is also renowned for its world-class conference deals, wedding functions and spa treatment specials. 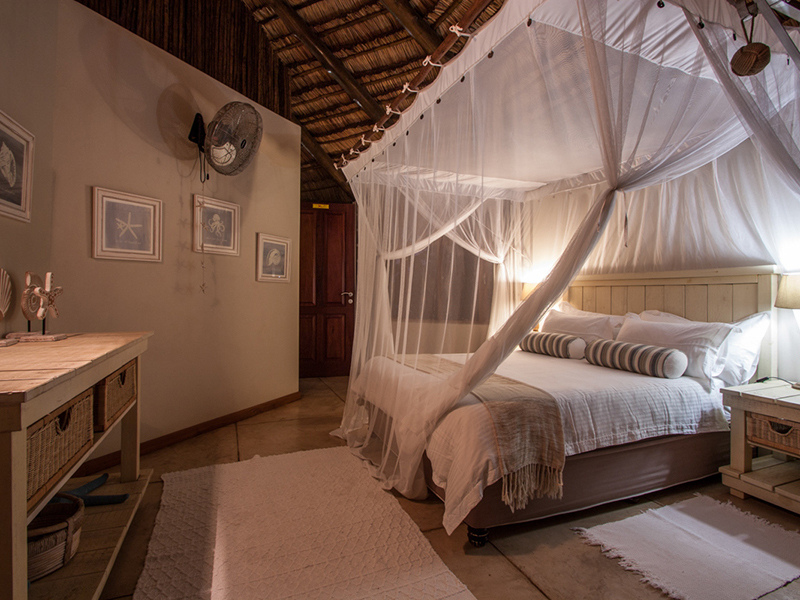 Nahyeeni Lodge offers sublime accommodation for up to 13 guests in a thatched main house and two thatched cottages in the indigenous garden. Book the main house if you have a large family and enjoy the two en-suite bedrooms (one with double bed and bath, the other with 2 single beds and shower). Endless views of ocean and sky creep into the open plan contemporary lounge and guests who choose the upstairs sleeping area will be able to see as far as the island lighthouse. There are 3 single beds here, a small library and a cosy relaxing nook. The 2 cottages nearby feature either a double bed or 2 single beds with en-suite bathrooms and space for children if needed. 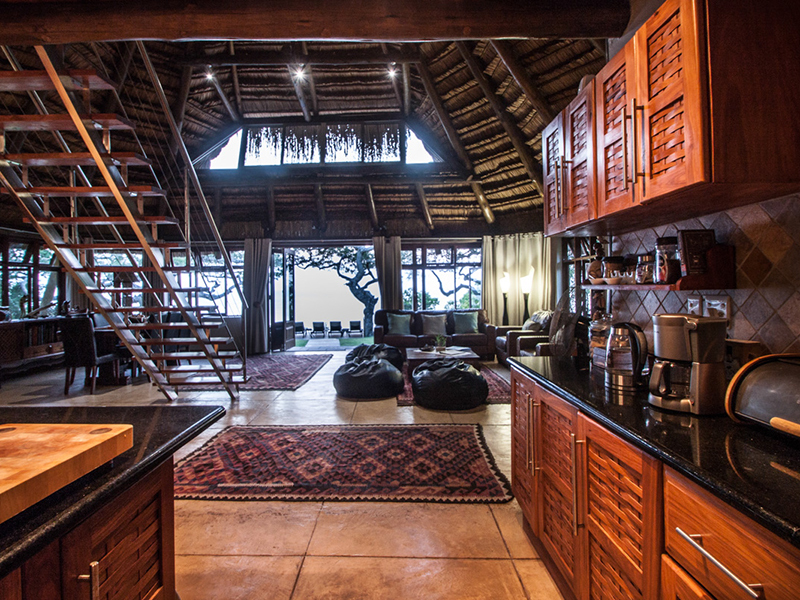 The ideal Mozambique island holiday accommodation where you can be as private as you want to, yet still meet fellow guests at the bar over cocktails and sumptuous snacks.